Wilmington Silver And Gold Refinery address, phone, website, hours of operation, and more. Selling your precious metals to a silver and gold refinery is quite simply the best way for you to get the most money out of your silver and gold collection. There are many businesses out there that will buy your silver and scrap jewelry, but almost all of them are middlemen who charge an extra fee. This means you will receive less money than going straight to the refinery. 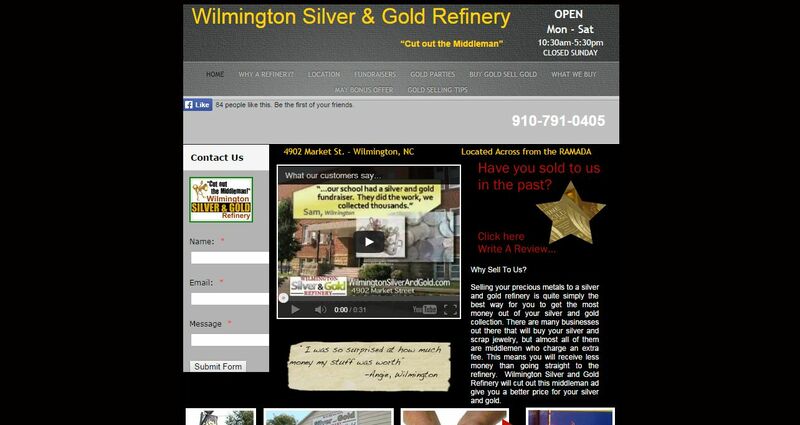 Wilmington Silver and Gold Refinery will cut out this middleman ad give you a better price for your silver and gold. Selling your Silver set, Gold jewelry and old coins to a refinery is a good way to get cash in a hurry. Unlike selling other assets, there isn’t a long waiting period or a bunch of paperwork. The process is simple and easy. Unlike pawnshops and jewelry stores, here at Wilmington Silver and Gold Refinery there is no middleman, other inventory sitting around, or unnecessary overhead to diminish what we pay for your Gold and Sterling treasures. We ONLY BUY and process gold, silver and old coins in any condition.